Simple, elegant form underlined by the use of exceptional, highest quality materials. 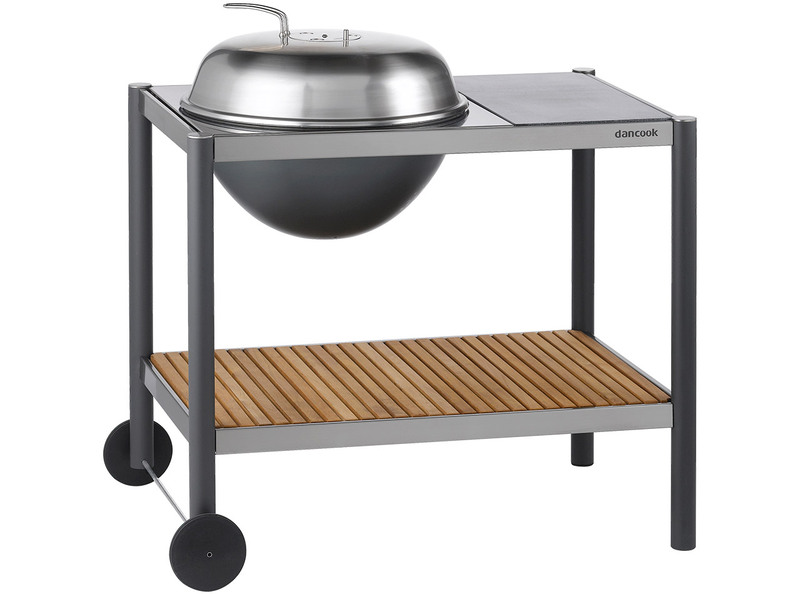 A large tabletop, ideal for preparing dishes outside and a big kettle-shaped bowl. Portable outdoor kitchen.